bombers have all the negative sigma. i have on occasion succeeded in doing this deliberately. simply for the salt resulting from killing all of their primary guns and sailing off, leaving them there. not easy to do with mid t6/7 dispersion, but still doable. most fun iv had ingame in a long time. thank you. pretty sure a rep bot would be better than the karma system. this comes up on the forum now and then. just play safe for a few games and you will be fine. grab a dd mount a ram and speed flag and spam a few co-op matches if you dont feel like playing safe. t3 aa and secondary balance needs reviewed. its only a contradiction if you conflate t3 and t4 aa. unlike t4 aa(mostly), t3 is a combination of anaemic and LITERALLY non-existent. 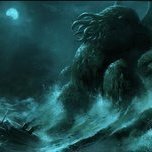 t3 unlike t4 is an end of range set, and needs to have something to address that. hyperbolic. all they need is t4 equivalent aa to match the t4 planes they face. enough to actually defend themselves from air. where now, even grouped up, these ships have essentially nothing. t3 ships are end of range for aa balancing, at they will ALWAYS be bottom tier vs cv, much in the same way as t10 cv are end of range, in that they will always be top tier vs ships. before the rework, these ships could be defended by fighters, this is a luxury they do not have now. yea, you are a favourite target. you slow down that much when you turn and your point blank aa does nothing. there are plenty of entirely speculative entire ships in wows. and wows is not a simulator. not saying they are, but that the functionality could be made 'familiar' for rn ships. these ships do face CV, but have hopeless aa spec to do anything in their own defence. a problem compounded be the fact that t4 cv do not have summon fighters to defend low tier friendlies. something i, to be honest, suspect has been overloocked. the other thing being more a fun/QoL issue, ships under t4 have such short range on their secondary guns that simply getting to use them is an unexpected and rare moment. there has to be some metric tracker somewhere that could assist in adjusting these guns so that they occasional rather than exceptionally rare use. which would add veriety to low tiers and actually let new players know "your ship has more guns, and there are ways to use them". which seems currently lacking. WG, what have you done to mid tier dive bombers? the initial aim indicator is now so far off on ijn and usn db, that it seems to make things worse than just 'eyeballing it'. and rn bombers sigma is so bad that going for cruisers is just luck. i can see what wg tried to do, but the consequences for mid tier is obnoxiously awkward. i keenly remember all those cv borne flights in history strictly emphasising the need to be back on the carrier in less than 20 minutes. there is definatly a problem with how friendly cv can carry out a support role, such as fighter summons timing and not actually moving to defend the ships they are dropped on. if cv would actually support their fleet with fighters i would have fun, as it is, other players ignore air support requests. there is also a problem of passive cowards hiding at the back corner of teh map instead of using their cap fighters to help defend, but there are a lot of other mechanics going on to inhibit that. making CAP fighters unlimited being the easiest fix. or at the very least, having enough charges to not run out. that way a cv could move forward to some island cover and use its AA and CAP to defend friendlies making support fighters stick to ships they are dropped on is still a needed change. there needs to be a limit on reporting range between fighter and cv, like in WOT, to stop cowards hiding at the back just farming damage. they need to stop using cross tier changes to balancing too. their latest raft of blanket changes have gimped t6 cv severely. just to deal with t10 specific balancing issues such as dd vs db play, and squadron spam. im also glad i dont have to cringe at claims of cv being complicated rts play anymore, when it never was. the slight nostalgia feel from the cv play reminding me of an old sega game i played as a kid helps my opinion. though t10 is obviously a mess that needs its own fixes separate from other tiers, since t10 cv is always top tier, where no other are. and tier differences are the most impactful of anything in cv play.